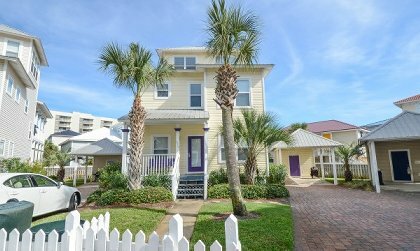 Coast Inn is a charming home located in the Miramar Beach community of Gulfside Cottages. 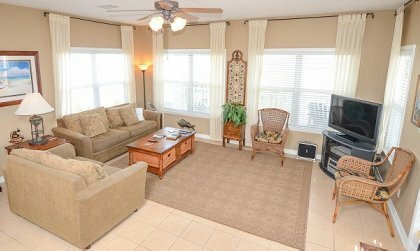 The homes stunning 180 degree gulf views are perfect for sunset viewing and the beautiful emerald waters and sugar sand beaches are just a short 75 yards away. A grocery store, pharmacy and many restaurants are within easy walking distance along Scenic Gulf Drive and the nations largest designer mall, Silver Sands Outlet Center, is nearby across Hwy 98. Enjoy golfing, biking and many other family activities at Baytowne Warf inside Sandestin. 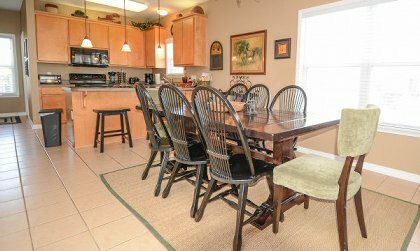 This cottage is ideal for two families to share and a great house for family reunions. 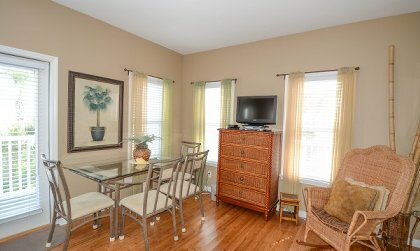 The home has been recently updated with new hardwood floors and new furnishings and the neighboring homes are available for larger groups. 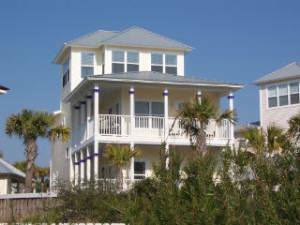 Entry Level has Master Bedroom with a king bed and a 32 inch flat screen TV and DVD, private bath with access to the lower wrap around porch with gulf views. 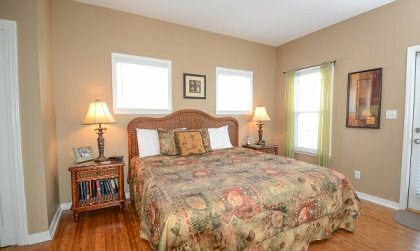 This level also has two additional bedrooms, a room with two twin beds and a room with a daybed that opens to a Queen. 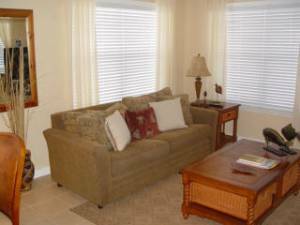 Both bedrooms have TVs and DVDs and are located across from a large full bathroom. The front porch has a bench that converts to a picnic table and looks out to the gazebo area of the neighborhood. 2nd Floor features spacious open living room area with 42 inch flat screen TV pull out queen sized sofa, kitchen and dining with table that will seat 12 and additional bar seating for 4. Wrap around porch with electric grill and two seaside bistro tables to sit and enjoy the gulf view. Queen bedroom with a 30 inch flat screen TV. There is another full bath and the laundry on this level. 3rd Floor has loft area with great gulf views, queen sized sleeper sofa, loveseat, TV/DVD, stereo, and books. 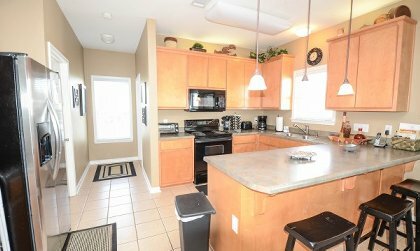 Enjoy beautiful views from the spacious decks!